Prison Service publishes footage from block 10 in Maasiyahu Prison, which as of today will house disgraced former PM for the next 19 months. Former Prime Minister Ehud Olmert began his 19-month prison term on Monday for corruption, and shortly after he entered his cell, Israel Prison Service (IPS) distributed footage of the special prison block where he is to serve his time. 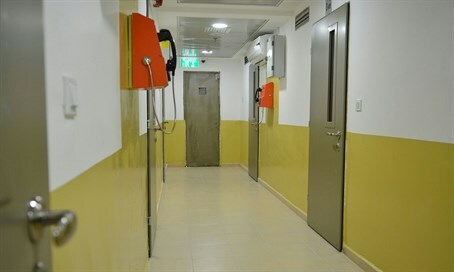 Block 10 in Maasiyahu Prison in the central city of Ramle has recently been refurbished to keep prisoners such as Olmert who are privy to sensitive security information separate from the general prison population. As a result, Olmert is to enjoy "luxury" jail conditions.